DDC Laboratories India has a promise of quality and quick results. We are now opening up sample collection centers all over India. DNA Test in Arunachal Pradesh can now be done effortlessly. DNA tests are done for peace of mind, legal cases or immigration purposes. Crime cases, Immigration cases for visa purposes and other related issues have become easier with DNA Testing. We have large array for DNA tests including paternity, maternity and sibling-ship tests. We also avail free counseling and find out the type of test that suits your needs. We get samples collected from anywhere in India and also outside countries like UK, USA and many more. We are affiliated to DNA Diagnostics Center Inc. USA, the world leader in providing AABB accredited DNA testing services. Our experienced technicians at DDC Laboratories India regulate DNA tests with 20+ markers test to ensure maximum accuracy. We are trusted by many medical professionals, hospitals and legal attorneys to provide accurate and lawfully admissible test results. We assure secrecy and privacy of our clients and the DNA test results. 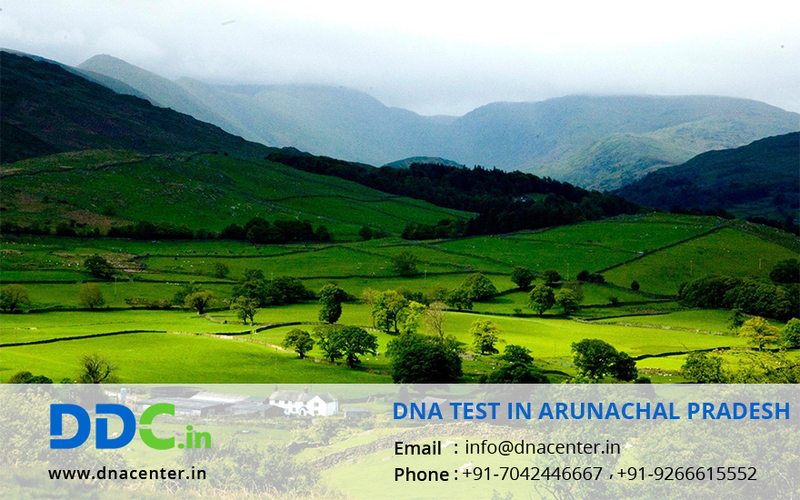 For any sort of DNA test in Arunachal Pradesh, please fill the below form and our executive will contact you. To know more call us at: +91 7533008488 and fix your appointment.